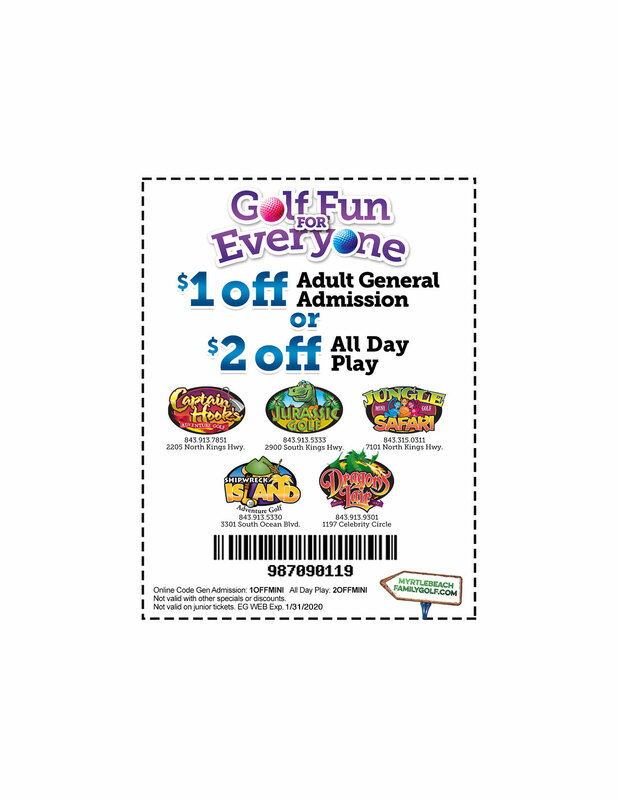 Save $1 on General admission or $2 for all day play at each of our miniature golf courses. 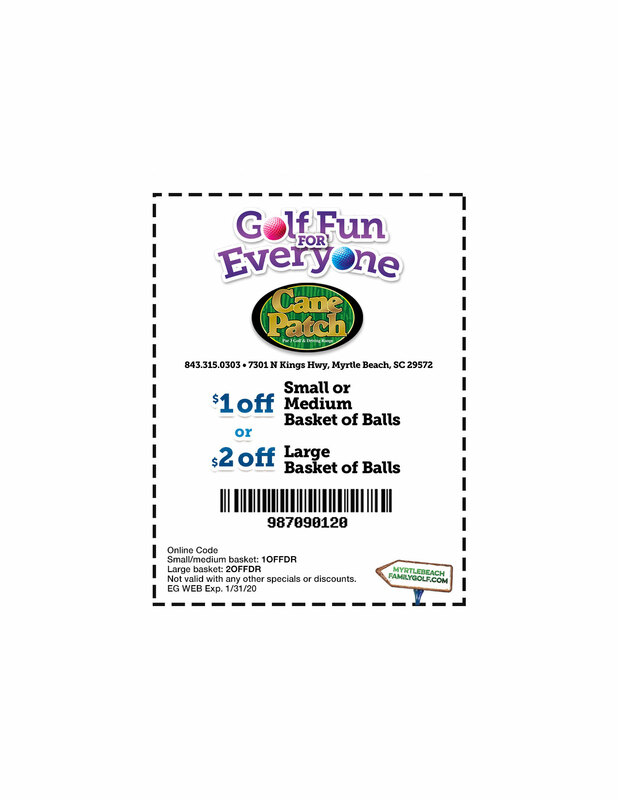 Year Round Driving Range Coupon! Save $1 on small and medium baskets and $2 on large baskets. 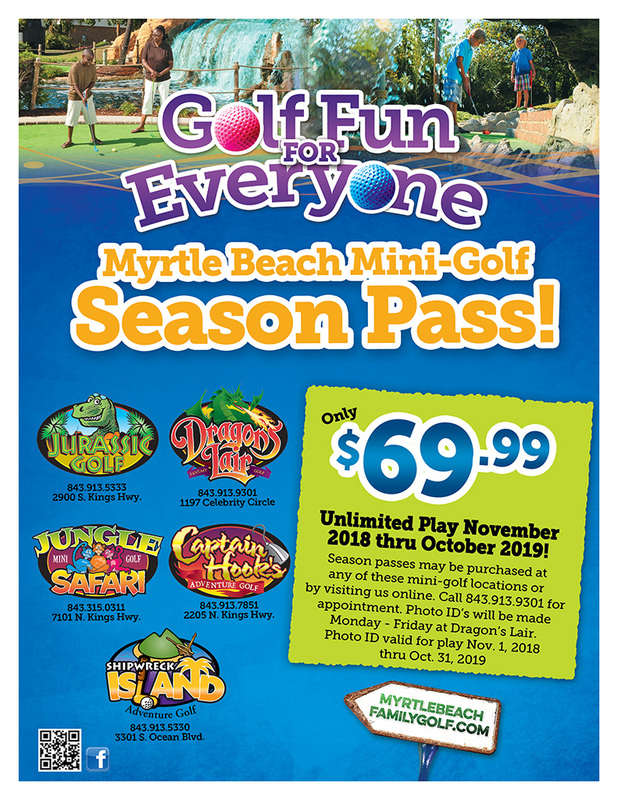 Mini-Golf Fantasy Packages go on sale March 1st, 2019. 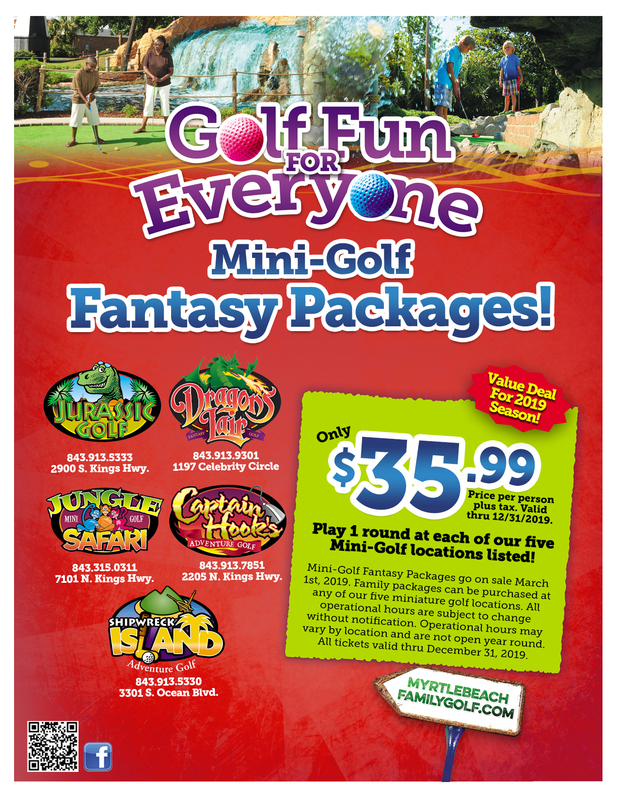 Family packages can be purchased at any of our five miniature golf locations. Operational hours vary by location. All tickets valid until December 31, 2019. Season passes may be purchased at any of these mini-golf locations or by visiting us online. Call 843.913.9301 for appointment. Photo ID’s will be made Monday – Friday at Dragon’s Lair. Photo ID valid for play 11/1/18 – 10/31/19.